Does your manufacturing job shop suffer from the “can’t do’s”? We can’t get parts through the shop fast enough. We can’t schedule and deliver on time. We can’t get quality right. We can’t get sales to grow. We can’t figure out our costs. We can’t maintain accurate inventory. We can’t control labor costs. We can’t serve our customers the way we want to. Global Shop Solutions puts you in control of your shop floor by providing complete visibility into every aspect of your business. 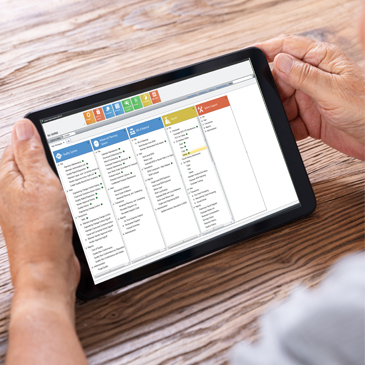 Whether you specialize in individual custom jobs or high-volume repetitive parts, our ERP software lets you track and manage every step of the production process – from the time you receive the RFQ until the finished part goes out the door. Capture direct and indirect labor with remarkable precision. Track and apply costs to each job sequence in real time. Quote faster and more accurately by knowing your margins and profits as soon as each job is completed. Make due date decisions based on accurate data rather than wishful thinking. 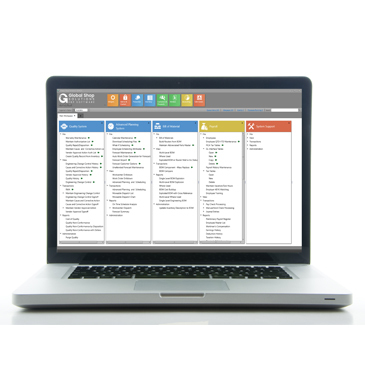 Instantly see your backlog, workload and true capacity. Use real-time scheduling to accommodate customer “hot jobs” without making other jobs late. Always know what you have in inventory and where to find it. Reduce holding costs by purchasing only what you need, when you need it. Utilize raw materials more efficiently by grouping like material for different jobs. Job shop manufacturers around the globe have experienced the same problems and overcome them with our ERP software. Download our case studies to learn how we help them run lean, efficient and profitable manufacturing businesses.